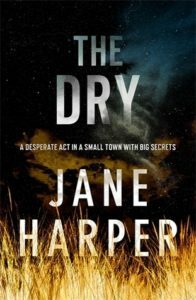 If you haven’t yet picked up this winning debut by Australian author Jane Harper, then run right out to do so. It’s the story of Federal Agent Aaron Falk who returns to his hometown after a long absence to attend the funeral of his once-close friend, Luke. Amid the worst drought in a century, Falk investigates Luke’s death and reluctantly addresses the buried secrets that bound him to his friend. Atmospheric and compelling. 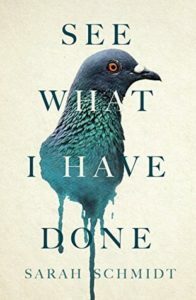 Sarah Schmidt’s debut novel is a reimagining of the Borden murders of 1892, which captured public imagination when their daughter Lizzie was accused of the crime. The book is told by four people: Lizzie, her older sister Emma, the maid Bridget, and an inscrutable stranger named Benjamin. Lizzie’s guilt or innocence continues to be a source of debate years on, and Schmidt uses that uncertainty to clever advantage in bringing to life one of history’s most famous unreliable narrators. Kate is an investigative journalist working in war-torn areas like Iraq and Syria. She returns home for her mother’s funeral and must deal with her sister Sally, who has developed a problem with alcohol. 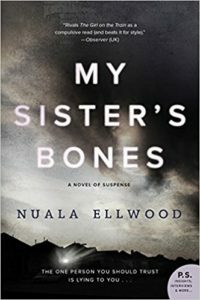 The first night home, Kate is awakened by a terrible scream… This book packs a wallop as it explores multiple kinds of trauma, from the kind born of a rough childhood to the PTSD that results from covering wartime atrocities. The survivors here are doing the best they can to make it through the day, even as several of them harbor dark secrets. 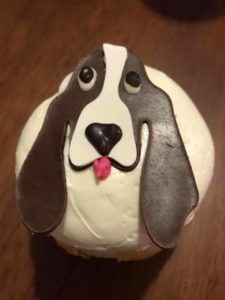 He was almost too cute to eat! Whew! 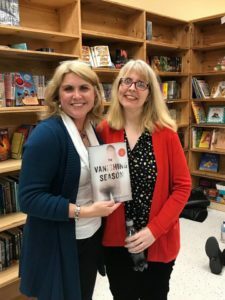 Last week I enjoyed an amazing whirlwind of activities surrounding the launch of The Vanishing Season. I have to stop myself from screeching in joy whenever I see the book on the shelves now. 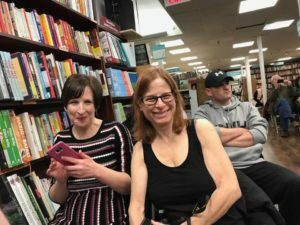 The Brookline Booksmith was kind enough to host opening night, where a good crowd showed up to see if I would make a fool of myself babbling in front of an audience. I managed not to say anything too embarrassing and we all got to enjoy cupcakes in Speed Bump’s honor. All credit to Dessert Works in Norwood, MA for these beauties, which tasted as good as they looked! The whole week was just a blur of excitement and I wanted to share some highlights with you before I lose the details in a Christmas haze. 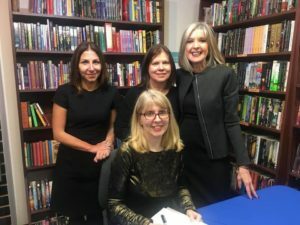 As much as I enjoyed Bump’s cupcake cameo, I was even more thrilled that Shannon Kirk, Elisabeth Elo, and Hank Phillippi Ryan took time from their busy schedules to come to the launch. These three talented writers are some of the loveliest people to know. They have been amazingly generous to me with their time and wisdom. Not only do I get to enjoy their terrific books, I now get to call them friends as well. How lucky am I? From left to right: Shannon, Elisabeth, and Hank, with me in the front. They are all talented and wonderful people! Jill and Robbie came a long way to be at my launch, for which I am incredibly grateful. Yay, friends! My favorite part of launch week was all the friends who came to visit! 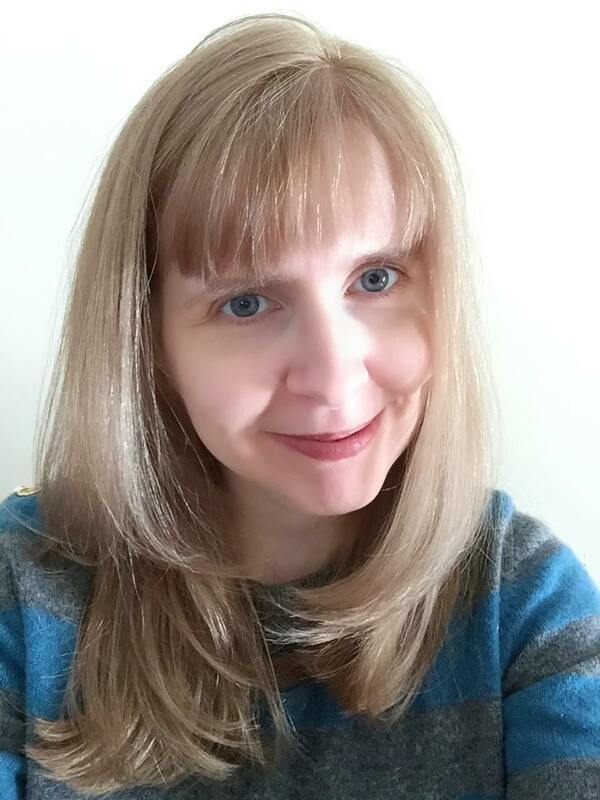 My longtime friend and editor Amanda Wilde zipped down from Toronto to hang out for the full week. We don’t see each other in person very often so this was a rare treat indeed. My other friend Jill came all the way from Minnesota, and it was so great to see her, too. I talk online to these ladies all the time but it’s not the same as seeing them in the flesh. Michelle Kiefer drove up from Connecticut to hang out with us, and it was like an old-fashioned slumber party, only you talk about books instead of boys. But the biggest surprise was my friend Robbie McGraw who came all the way from Los Angeles and didn’t tell me she was coming. Everyone else knew but me! It was the greatest surprise! Night two saw us at the Canton Library, where I talked about some of the research into serial killers that I had read about for my book. Criminologists, psychologists, and neuroscientists have studied serial murderers for decades. Unfortunately, much of what they have learned has not translated into better ways to catch these guys. It’s great to know that serial killers are more likely to have wet the bed as a kid, but when you suspect you have a serial murderer loose in your community, you can’t exactly round up all the childhood bed wetters. It’s a definite conundrum! Me with the lovely and talented Lisa Gardner at New England Mobile Book Fair. mystery writer friends and to make some new ones. Somewhere in there I managed to convince the lovely and talented Lisa Gardner to buy my book! She is funny and wise and I enjoyed talking with her more than I can say. Many thanks to New England Mobile Book Fair owner Tom Lyon for hosting this terrific event! JOANNA SCHAFFHAUSEN is a scientific editor who spends her days immersed in research on potential new therapies for cancer, addiction, and neurological disorders such as Alzheimer’s disease. Previously, she worked as an editorial producer for ABC News, where she advised and wrote for programs such as World News Tonight, Good Morning America and 20/20. She lives in the Boston area with her husband and daughter. The Vanishing Season is her first novel. © 2019 Joanna Schaffhausen. Site design by Clockpunk Studios.